The Ryan Russell Memorial Training Program aims to make piping and drumming accessible to any aspiring young musician in the Toronto area. However, we are aware that tuition fees are not affordable for all families. Our Sponsor a Musician scholarship program aims to help ensure all young people have a chance to participate. 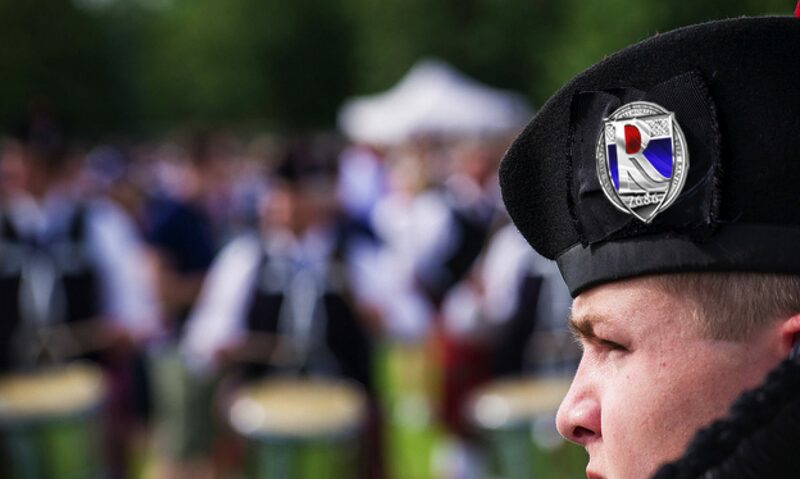 If you are a member of the pipe band community or a lapsed member who wants to be involved again in some way, or contact us to see how you can get involved. You can choose to be a sponsor and mentor to an individual who could not otherwise be able to participate, or help lower the cost for all participants. Thank you to our current Instruction Program sponsors! Interested in donating? Please contact us. Formed up for the Glengarry Highland Games Tattoo on Friday night. Smart looking bunch!